The Wisdom that has no end. In the mind of Christ with growth. And with the same, treating me! From our Father God in eternity? In His Spirit to do and endure! This entry was posted in "DO YOU KNOW WHERE...?, a "four-letter" word, a coming storm, a consumation highky to be wished (Jeeves), a dark and stormy night, a Depressed Chrisitian?, a Father's ples, a limerick, a Master Painter leads, a mystery, a new day, a relationship---not religion!, a special relationship with Father God, A-B-C-B, Accuser of the faithful, agape' love, an altered route, an oposing opinion to his, anticpating, appreciating wisdom!, aquifer replenished, at the beginning, awake in His love, back to reality, be wary, being on your gaard, Bible concepts, Bible poetry, Bible verses, Biblical certainty, Biblical doctine, blinding, both God and man, but why?, calling the nations to God, Caswell li, charlatans, choose to rejoice, choosing reconciliation, Christian docgrine, christian persecution, church history, church vs. state, clarification, cofession of a man, COMMENTARY, conflict, congergation flees!, consequences!, considering god's Plan, crying for our Lord, cultural battles, deal with what is, deception, desires of my heart?, disciple of Christ, don't go alone!, don't ignore God calling you!, done in the heart, dwn's light to God's light, edification, educational, encouragement, evangelistic, evil beings, exhortations, faith, fantasy vs. reality, fear of, fleeing temptation, flooded churches praying for others!, for those who are alone, freestyle form (limerick plus four-line stanzas), gift of God, giving up the battle, God as Lamb and King of Judah, God bless you!, God's gift (paying our price), God's glory in creation, God's goodness, God's promise of a new life and mind, God's relationship with His children, got closerguidance, growing up, hateful theology in sheeps' clothing, history, idea flow, in fine voice, increased darkness, intercessory, lacking nought, life learning, lifts up our chins, little endurance, Loving Rebuke of the Spirit, making life count, manipulation, mocking God with Pride, moral haziness, national news item, Uncategorized and tagged activist accusations, fact checking, forceful behavior, letting lies slide, not knowing, theChurch--Christ's Body and Bride on January 31, 2016 by Jonathan Caswell. We call Him the Ancient of Days! Or favor and love to lose. God wants with you to walk. This entry was posted in a Caswell limerick poem!, a Caswell limerick prayer, a coming storm, a consumation highky to be wished (Jeeves), a Father's ples, a man;s preferences, a Master Painter leads, a relationship---not religion!, a special relationship with Father God, agape' love, anticpating, appreciating wisdom!, at the beginning, back to reality, becoming born again, being a friend, belonging and wanted to return, Bible concepts, Bible limerick poetry, blessings un-numbered, both God and man, by Jonathan Caswell., calling the nations to God, Christian docgrine, Christian limerck poetry, Christian love poem, Christian thought, clarification, community, confessed, CONNECTING, considering god's Plan, creation, decide who is king, disciples of Christ poetry, don't ignore God calling you!, done in the heart, edification, education, encouragement, eternity revisited, evangelistic, every day life, faith, father as family member, fear of, find wonder!, free tavble, gift of God, God as Lamb and King of Judah, God bless you!, God's gift (paying our price), God's glory in creation, God's goodness, God's mercies, GOD'S PRAISES, God's promise of a new life and mind, God's relationship with His children, good lines, good reasoning!, good timing, homeward bound and tagged by Jonathan Caswell, come to His Table!, not just talking about it, the choice is yours, walking with God on October 27, 2015 by Jonathan Caswell. COME THOU LION OF JUDAH! Put to flight our enemies! 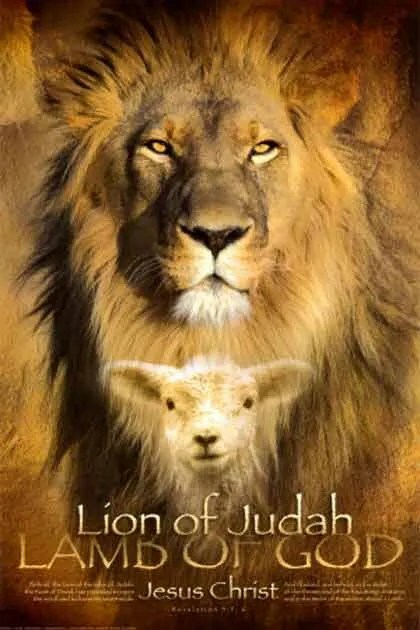 This entry was posted in Caswell, God as Lamb and King of Judah, yanka and tagged His holy people, in God's glory, Lamb of God, Lion of Judah, our enemies, put to flight, rescues His people, the great "I AM" on May 31, 2015 by Jonathan Caswell.